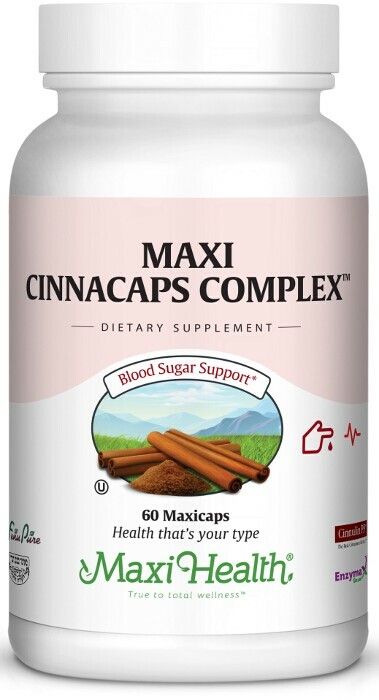 If you wanted a formula with fenugreek extract, guar gum and cinnamon, what would be the best and most convenient way to take advantage of it all Try Maxi Cinnacaps Complex™, that’s how. FenuPure™ is a highly- concentrated, deodorized fenugreek extract. Guar Gum is extracted from the seeds of the guar plant. Cinnulin PF is a proprietary water soluble extract of cinnamomum burmannii which has filtered out the toxins in cinnamon. Thus you can take enough of it to benefit from its healthy properties. It is standardized for doubly linked Type-A Polymers. It supports health glucose levels. Try Maxi Cinnacaps Complex™ today! Take two (2) to four (4) MaxiCaps™ daily, or as directed. vegetable cellulose, microcrystalline cellulose, magnesium stearate, Enzymax® (calcium carbonate, bromelain, papain, lipase, amylase, protease, silica). Cinnulin PF™ is a trademark of Integrity Nutraceuticals Int. FenuPure™ is a registered trademark of Adumim Food Additives Ltd.